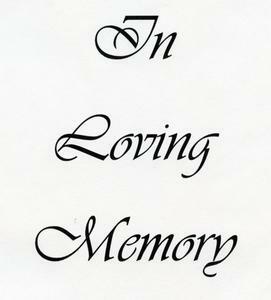 Please scroll down for online link to directions to the Funeral Home and florist information. Passed Away on December 13, 2017 at t age 69 years. Preceded in death by his parents, Raymond “Brownie” and Helen (nee Grant) Bord and his son, Robby Bord. Father of Toby (Alison) Bord. Grandfather of Christina and Caitlin. Brother of Eugene Bord, Melodye (Eugene) Hintz, Roger (Mary Beth) Bord, and Julie Bord Rogers. Uncle of Jeff, Matt, Becky, Nicole, Dean, and Christine. Further survived by his former wife, Patricia Martin, great nieces and nephews, other relatives and friends. Visitation at the Suminski / Weiss Funeral Home, 1901 N. Farwell Avenue Milwaukee, WI 53202 on Monday, December 18, 2017 from 4:00 PM until the time of the Funeral Service and Military Honors Ceremony at 5:00 PM.